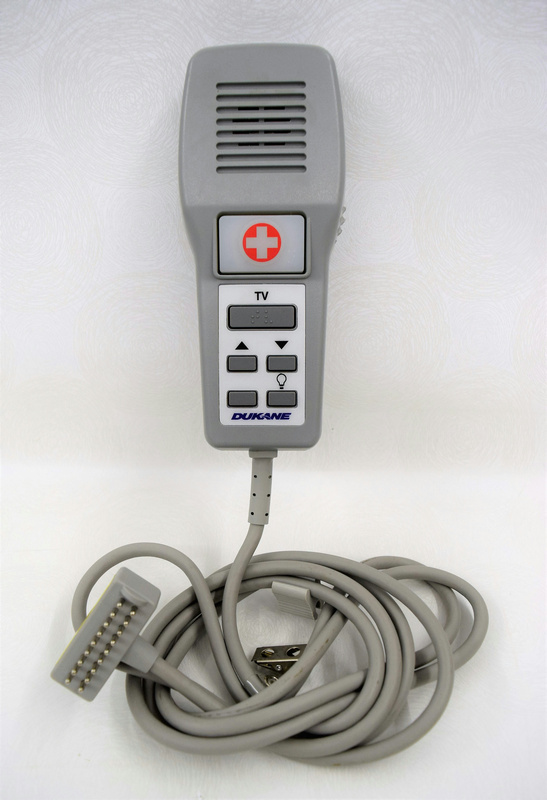 Dukane Model 7A2016 Pillow Speaker TV Remote Medical Hospital Bed Controller . New Life Scientific, Inc. The 7A2016 pillow speaker is used with standard patient stations to provide nurse call and basic TV control and audio functions. The 7A2016 has four additional push buttons that can provide lighting and auxiliary controls, depending on how your system is set up. Operation Manual below on patient call devices (this unit is listed on page 4-18). This product has minimal signs of wear and was removed from a working environment, in a large hospital equipment liquidation. New Life Scientific technicians were unable to test the functionality of this pillow speaker, because they do not have the hook up necessary to make the connection.